Britain has positioned a fleet of British Royal Navy destroyers to ‘man-mark’ an assemblage of Russian warships skulking off the Scottish coast in a strategic move ridiculed as an ‘overreaction’ by many of Putin’s supporters. Heads of the Russian military have mocked the Royal Navy as ‘weak’ and claimed the UK is ‘scared’ of Putin’s ships – which are looking to pass just one mile off the island’s coast. The Russian aircraft carrier fleet, led by the 1,000 ft-long Admiral Kuznetzov, is making it’s journey towards the English Channel as it gears up to join their ally Assad’s bombing campaign in Syria, the Ministry of Defense stated. The world’s most sophisticated air-defense destroyer – the HMS Duncan – sailed from Portsmouth to link up with frigate HMS Richmond, which has intercepted the Kuznetsov fleet of eight ships. 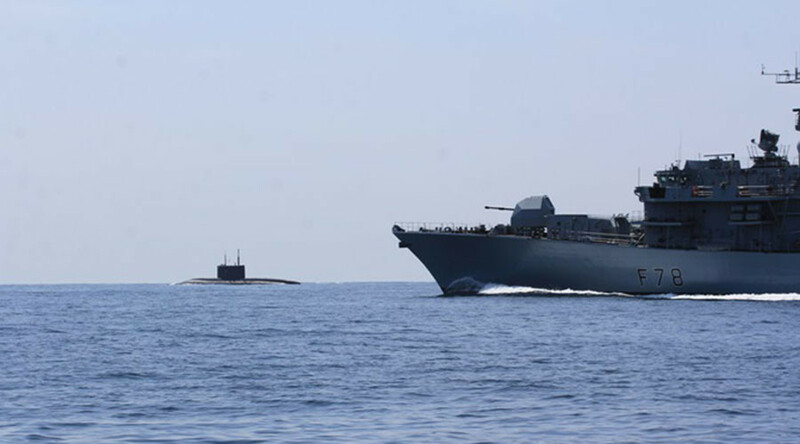 The British Royal Navy will be joined by a whole gang of Royal Norwegian Navy, Finnish Navy and Royal Netherlands Navy vessels encompassing the North Sea. 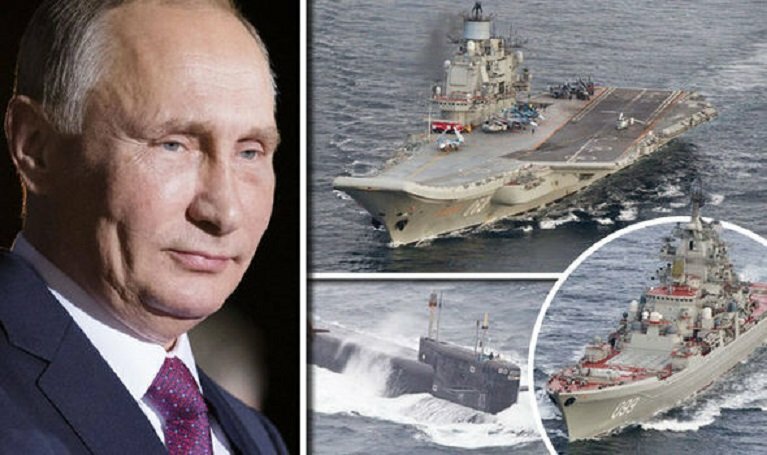 One Moscow defense expert disregarded the bold move, claiming Vladimir Putin is ready to ‘seize control’ of the Mediterranean and the Atlantic as he touted Russia’s sea power while stigmatizing the Britain’s Royal Navy as ‘tiny’. First deputy of the Russian Senate’s Defense and Security Committee, Pyotr Klintsevich, has confirmed the eight-strong Russian flotilla is armed and ready for hostile action if needed. Putin’s admirals are more than willing to heat up the stand-off on Britain’s warships by calling in extra assets from the Mediterranean in a mission being called ‘Operation Sea Fist’ by the Russian government-controlled media.